Toyota Prius is a hybrid car which is sold in India since 2010. The Japanese automaker, Toyota has now issued a recall for 170 units of Prius hybrid models in India. The recall applies to Prius cars that were manufactured in between November 2009 and April 2012. Launched in 2010, Toyota Prius has received an update in the year 2012. Prius is one-of-its-kind car which is on sale in Indian market. Why Toyota Prius cars are recalled? 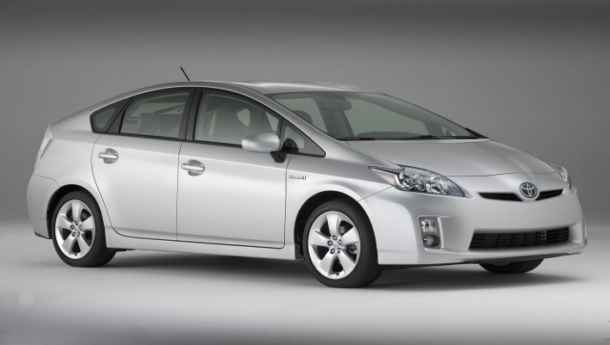 Toyota Prius cars are recalled in order to inspect the issues that are present in airbag inflator of 170 units. The cars which are brought to the dealership will undergo a quick checkup and the retention brackets would be inspected and replaced if necessary for the curtain airbag inflators. What Toyota found was that the driver and passenger side airbag inflators could separate easily when operational due to a crack in weld resulting in non-deployment of airbags. In other cases, inflator parts can be ejected in the cabin creating serious injuries to passengers on board. The Japanese automaker has globally issued a recall for 1.4 million units of Prius and Lexus CT200h with issues found in airbag inflator. Till now, no customer in India has complained about this issue. What do you think of Toyota Prius getting recalled in India? Let us know by commenting below.